On the hottest day of the year, JuJu and I (with his buddies Ace and Weezy) decided to play a round of golf at Northlands in North Van... without a power cart. Now, that would not be a really big issue if we were in shape. Hence, after the 9th hole, we relented and picked up a power cart. Sweaty, tired and disgusted with our scores, we turned our attention to eats. 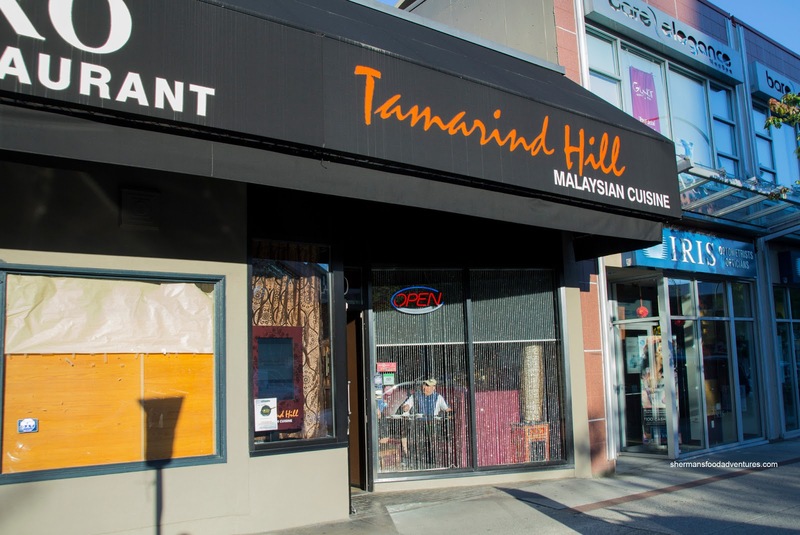 We figured Pho, hot pot and Korean BBQ were out of the question, so I suggested we head to Tamarind Hill on Lonsdale. We ended up sharing a good amount of food starting with the Chicken Satay. The meat exhibited nice grill marks while being moist and tender. The marinade had a heavy hit of lemongrass and was not very sweet. As for the peanut dip, it was definitely nutty with only a modest amount of palm sugar. 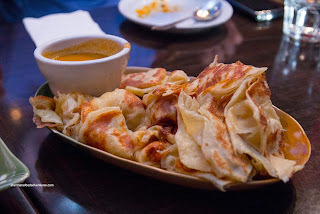 Next up was a double order of the Roti Canai. Although the exterior was nicely browned and crispy, the rest of the roti was doughy and dense. I did like the slight sweetness though. As for the curry dipping sauce, it was mild and coconutty with a good amount of palm sugar. There was a pleasant shrimp paste aftertaste. 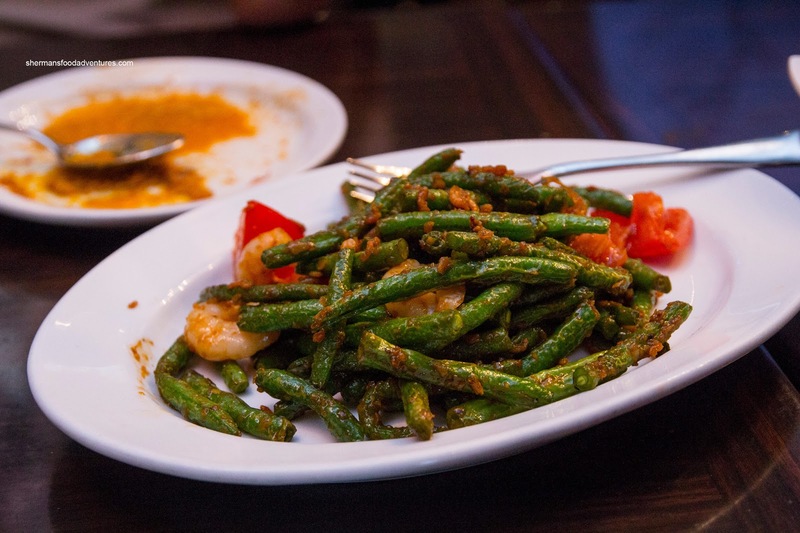 Continuing on with the usual favourites, we had the Sambal Green Beans. The beans were a smidgen past done which made them slightly soft. However, they were far from soggy. In terms of flavour, it was a nice balance of spice, palm sugar and the pungent flavour of dried shrimp. There was also a good amount of wok heat as there was no residual moisture. Next up was the Beef Rendeng which arrived as a healthy portion. 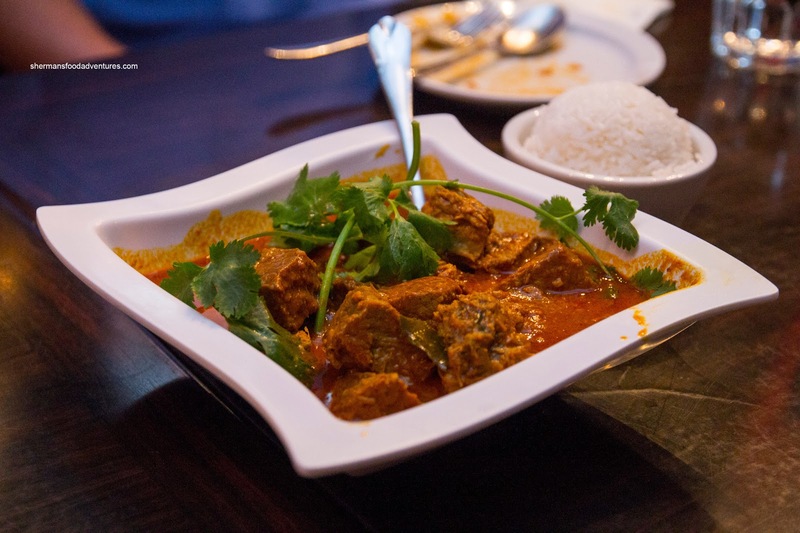 We found the sauce to be mild, yet still exhibiting a good level of complexity of flavours including coconut milk, galangal, ginger and lemongrass. There was a depth of flavour which penetrated the beef. Although the beef was tender, it was rather dry due to the lean cut of brisket. 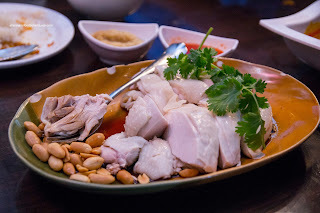 Although the Hainanese Chicken wasn't a huge portion, the execution was nearly flawless. The meat was really tender and moist, even the breast. 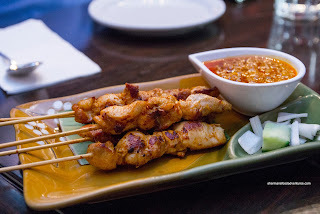 The chicken by itself was flavourful and sweet, yet with the grated ginger and chili sauce, it was even better. The accompanying chicken oil rice was chewy, not too greasy and aromatic. 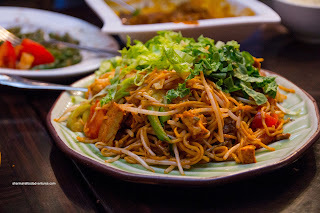 Lastly, we had the Mee Goreng which was surprisingly good. The noodles were al dente while the ingredients were plentiful. The flavours were balanced between spicy, sweetness and savouriness. I liked how the noodles weren't too saucy either. Overall, we enjoyed our meal at Tamarind Hill. There was not much to complain about except for the slightly high prices. You sold me on the Hainanese chicken! I've been looking for good Hainan chicken place that's easy on the MSG.